Jake tells us what Brew-in-a-bag (BIAB) is and why it is starting to really catch on with many home brewers. I highly encourage watching the video this week – Jake really did a great job with this interview! As you know, BIABrewer.info is the primary source for BIAB information. I’m probably regarded as the main BIAB pioneer and have spent the last seven years gathering data, researching and writing on BIAB and this is why you approached me for numbers and advice on BIAB for BeerSmith2 a few years back. S0me of that advice you were able to incorporate into BS2 and hopefully some other advice will appear down the track. 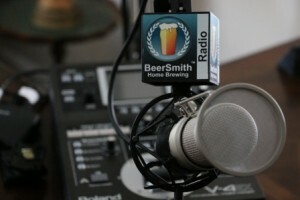 There does not seem to be a link to our Beersmith podcast on BIAB on this page. I think it might be good to include that. BIABrewer.info has researched just this one subject for many years and written thousands of words explaining exactly why sparging with BIAB has absolutely no advantage. So, this point needs a public correction. Years of hard, unpaid research should not be ignored. 2. Double Milling – This is not good advice and it is unnecessary to achieve excellent efficiency into kettle. See http://www.biabrewer.info/viewtopic.php?f=41&t=28 for an explanation. 3. “Efficiency” – BIABrewer.info has a lot of information on this subject. There is a massive amount of misinformation out there on BIAB efficiency and efficiency in general. BIAB is highly kettle efficient (and therefore ‘fermenter efficient’). If someone is not getting extremely high efficiency from BIAB, they should study http://www.biabrewer.info/viewtopic.php?f=5&t=771&p=9207#p9207. The main culprit is people trying to do a BIAB in 60 minutes. See #11 of that link. 5. As you said Brad, BIAB will handle high gravity brews very well. It will handle then as well as any other method. It will also handle decoction but then you need a second vessel which bends the rules of BIAB which is to be a single vessel, single burner, full-volume all-grain method. 6. Quality – BIAB brews have proved already to be at least equivalent to traditional three-vessel brews. There is a lot of logic and science to say that three-vessel brewing is actually a compromise. I occasionally write on the reasons why but it is not an important subject for BIABrewer.info. Our only point is that BIAB is certainly not inferior to three-vessel methods. 7. Jake, probably inadvertently, also implied that some BIAB brewers were fanatical. He mentioned this at the same time as you displayed BIABrewer.info. But, if researching carefully, writing carefully and making things simple for new brewers is fanatical, then we’ll be up for that – lol. At BIABrewer.info, we also have a culture of accepting when we get something wrong. It’s all part of the learning process. I hope that the above information, which is accurate, is seen as helpful. The more people/forums/websites etc that pass on quality information, the better for all of us. I have personally had very good efficiency (equivalent to traditional methods) with BIAB. I did not mean to imply that BIAB.info complicates or is “fanatical” – in fact I had the site bookmarked before the show because it is a very useful source of information. I believe the word I used was “passionate” – it applies to BIAB as well as many aspects of homebrewing. So thanks to BIAB.info – as they provide an outlet for people who want to share their passion for brewing! I think that 1 and 7 above was just a bit of unlucky timing for us. One more thing I probably should mention is in the maintaining of mash temperatures. This is very easy in normal size batches (assuming you aren’t brewing in a blizzard) due to the large volume of water. A simple application of heat whilst stirring once or twice during the mash is usually all that is needed to maintain temperature. Some people don’t even do this, they just use insulation as mentioned in the podcast. Also because of the high volume, strike temperature for most set-ups only needs to be a few degrees higher than mash temp. Stovetop brews can be harder to maintain temperature with due to the smaller volume. The pots used are usually thin which does not help much either. One way around this for stovetop BIAB is to put the kettle in the oven during the mash assuming you have good temp control in the oven. Whichever method you use, I recommend stirring the mash and checking its temperature several times during the brew until you have a good feel for how your set-up behaves. For example, if you have heavy equipment, radiation from that equipment will actually cause the temperature of your water or wort to rise even after you turn off the flame which can cause a bit of head scratching for new brewers :). Brad… it was great to see Jake on video again – I was/am a big BrewingTV fan and dig seeing the boys spreading the word. And thank you for having him on to discuss a topic that for me is rather timely. I’m getting ready to do my first 3 gallon BIAB (had done 1 gallons previously), and found the information helpful, and provided confirmation of what I learned doing the the 1 gallon batches. I’ve also set my profiles in BeerSmith up for BIAB, so I should be good there. Next, I’ll be having a look at BIABrewer before I do the brew just to make sure I have all the info I need to get brewing.